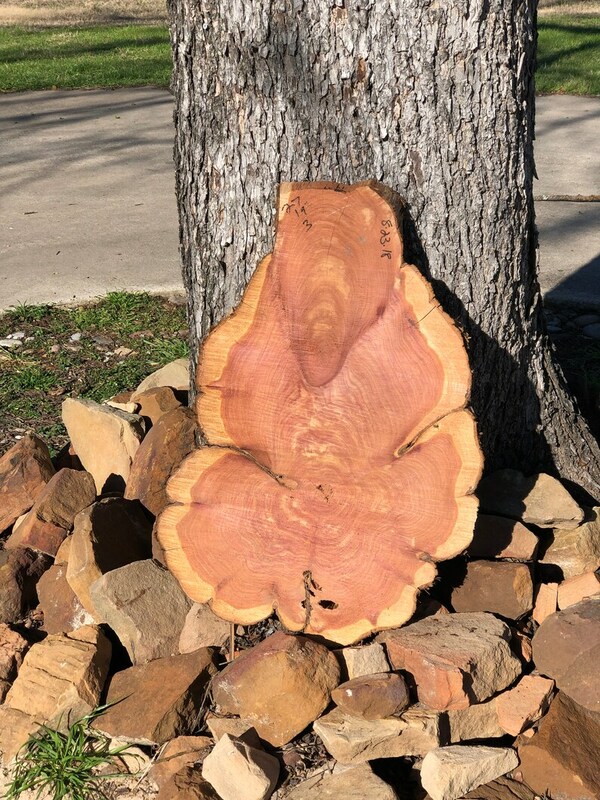 One well-seasoned large slice of Aromatic Red Cedar from East Texas. Size is 27" at widest, 19" at narrowest and a sturdy 3" thick. As shown in these photos, I have tried to get different views of front, back and sides so you can see exactly what you are getting. Rough sawn, not sanded or finished. Bark is as shown; not intentionally removed, but some missing.